Save up to 80% on your dental care. No limits on the number of visits or services that you can use. 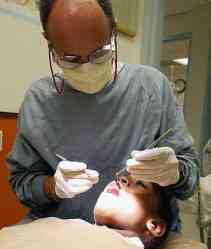 Voted the #1 plastic surgeon in his field, 2011 Phoenix Magazine TOP DOC. Also featured in TOP DOC Phoenix magazine 2001, 2003, 2005, 2006, 2007, 2008, 2009, 2010 and 2011. Experienced and Recognized for plastic surgery Phoenix!